This scene caught my eye and I couldn't resist painting it on the spot. It had a very restful, peaceful feeling to it and I wanted to convey that in this oil painting. I think I caught the spirit of the moment, and the painting sparkles like a little jewel. I was pleased with the result and hope you like it too. Thanks for looking; enjoy the view. 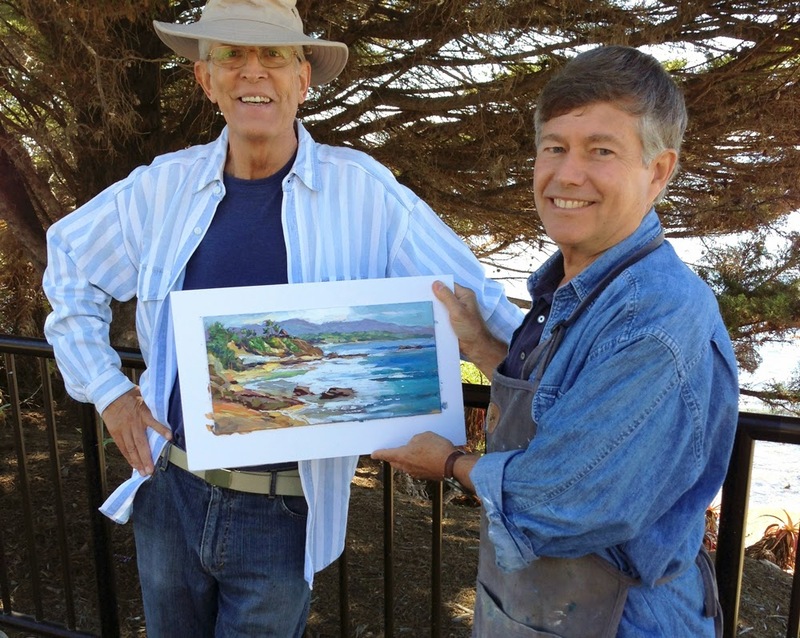 An artist friend recently invited me to join his group for a morning of painting at the ocean in Laguna Beach. It was a perfect day for painting and we all had a wonderful time. I thought I’d show the results of my efforts that day. 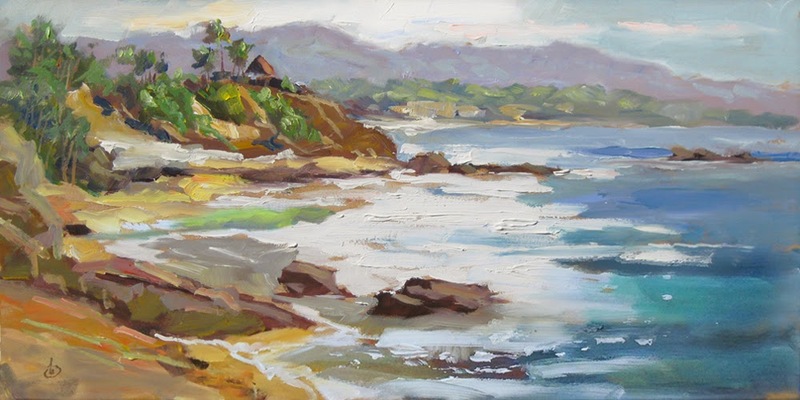 I chose to paint a 14x7 inch oil that featured the morning glare on the ocean. It’s shown at the top of this post. And I thought it would also be interesting to show a few other photos as well. The second photo was taken from my vantage point as I painted, and it shows how the camera recorded the scene. The camera never picks up the full range of color and value nuances that the eye can see, but this gives you a fair idea of how the scene looked. In fact, even the photo of my painting doesn’t live up to the actual painting itself, which is normal. Images on a computer screen never show the true beauty of a painting. You’ll also notice that I used a bit of artistic license in my interpretation. I wanted to capture the spirit of the scene while putting a bit more interest into it at the same time. The third photo shows a few of the other artists at work on their own paintings (that’s me on the far left). It’s worth noting that there were quite a few terrific paintings created by the various artists that day, each with his or her unique interpretation of the scene. Kudos to all. The final photo shows me with my friend John, who is an artist himself. John is the one who organized the group. He and his wife Susan liked my painting well enough to purchase it right off the easel that morning. I was very flattered, especially since they are both very gifted artists themselves. I want to thank John and Susan for inviting me, and thanks to the entire group who made me feel so welcome. I look forward to the next opportunity to paint with everyone. And thanks to all who stopped by my blog today. Have a colorful day. Sign up here to see my daily paintings hot off the easel - plus painting tips & techniques, news of special events, and more! I've packed into each tutorial. I am an American artist and I host a TV Art Instruction show where I teach studio oil painting and plein air painting in the Impressionist style. I also teach other artists how to paint through oil painting workshops and art instruction CDs and DVDs. 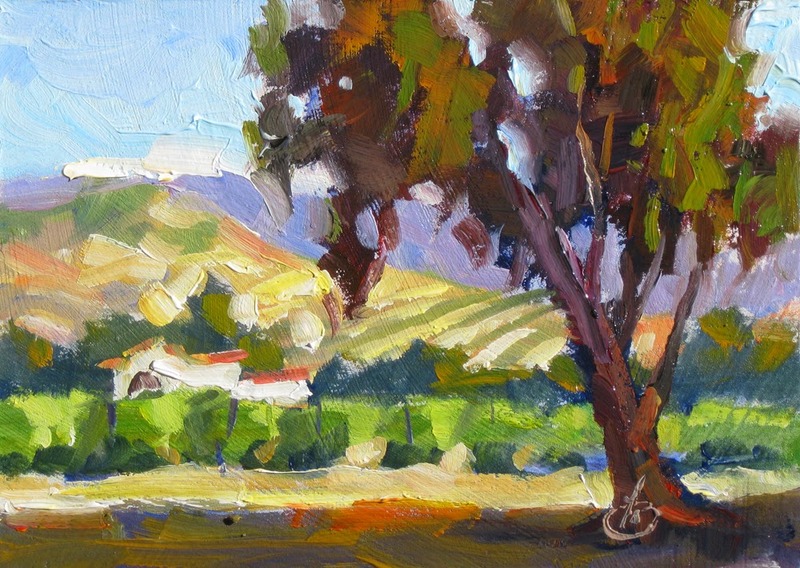 My Impressionist plein air landscapes, still life compositions, portraits and figure paintings have been represented through prominent galleries for more than 20 years. 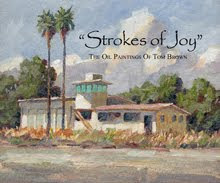 My paintings are in corporate collections including the City of Irvine, Sears, Standard Oil, and Coca Cola. My work is often seen in leading art publications like Southwest Art, Art & Antiques, American Art Review, American Art Collector, Art Calendar and others. 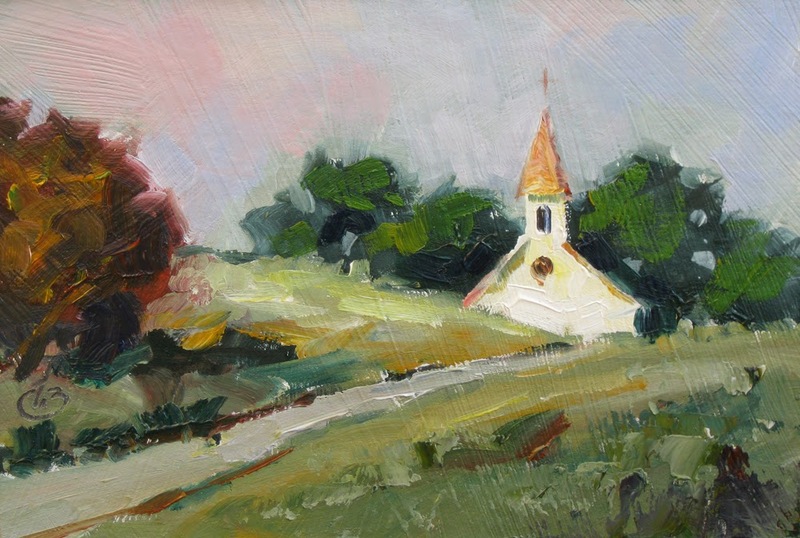 I am a former president of the Orange Art Association and past member of the Laguna Plein Air Painters Association and Southern California Plein Air Painters Association. 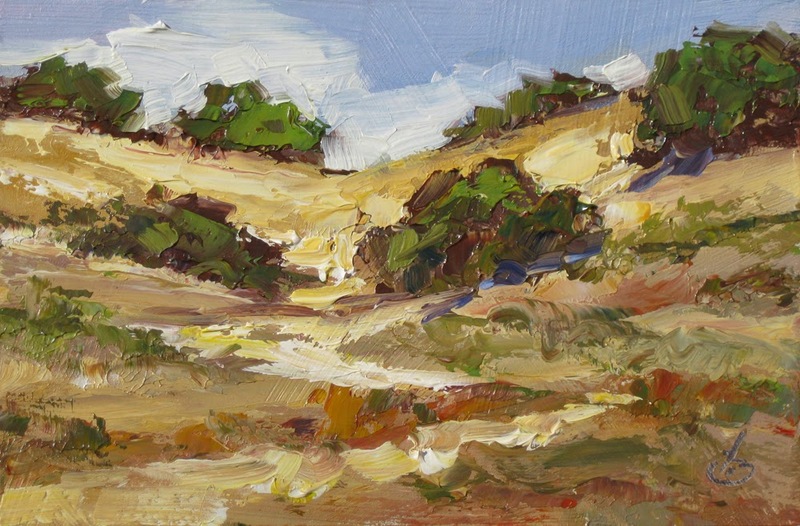 On my Daily Painter blog I offer affordable small original oil paintings to introduce my work to new and ongoing collectors. Much of my work these days is done on a private commission basis, and I welcome inquiries. Thanks for looking. YouTube VIDEO: How I painted this.